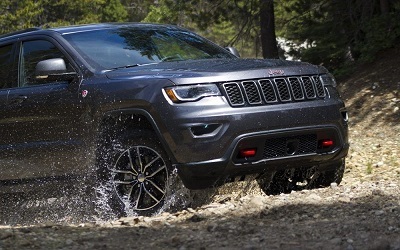 The 2017 Jeep Grand Cherokee in El Paso reigns supreme among the best midsize crossovers today, according to one of the nation’s leading automotive magazines, Car and Driver. Big on features and even bigger on performance, this SUV can take you anywhere in style and luxurious comfort. Beneath the hood of this midsize SUV is the standard 3.6L V6 engine with an output of 295 horsepower and 260 lb-ft of torque on 8-speed automatic transmission (AT). This ride can go from 0 to 60 in about 7 seconds, and its fuel economy is tagged at 18 mpg in the city and up to 25 mpg on the highway. Head on over to VivaChryslerDodgeJeep.comblog page to know more. Posted on December 16, 2016 by CedrickPosted in BusinessTagged 2017, cherokee, grand, jeep, spin.